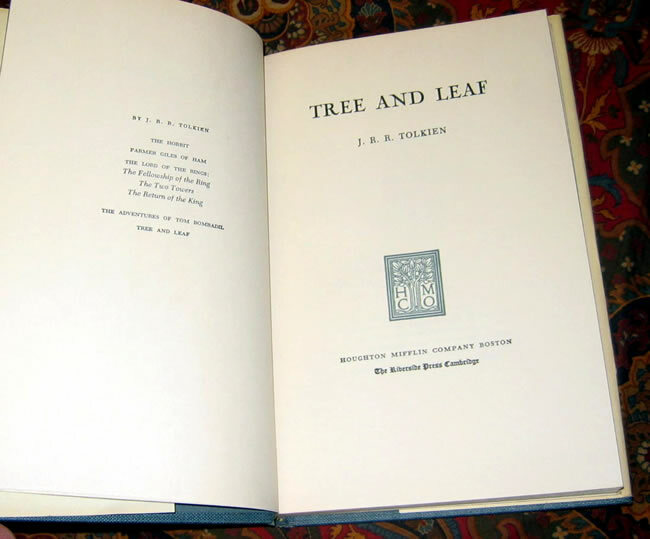 #000463 - Tree and Leaf, 1st US Edition, 3rd impression, Near Fine/Very Good Plus - Published in 1965 by Houghton Mifflin, Boston. 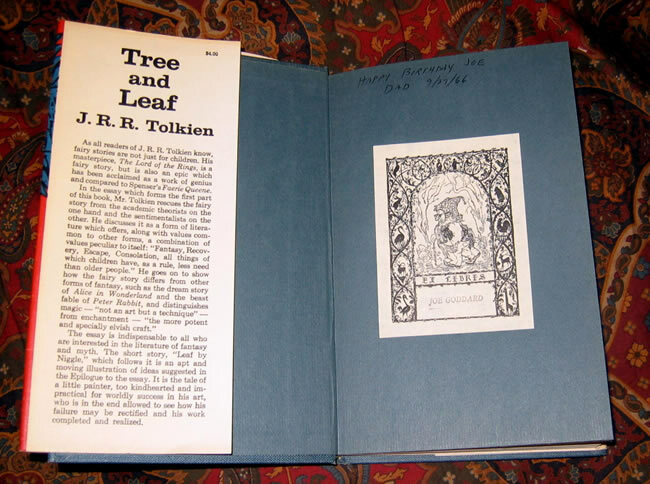 This copy is a beautiful example of a Near Fine Book and original dustjacket. Published in 1965 by Houghton Mifflin, Boston. This copy is a beautiful example of a Near Fine Book and original dustjacket. 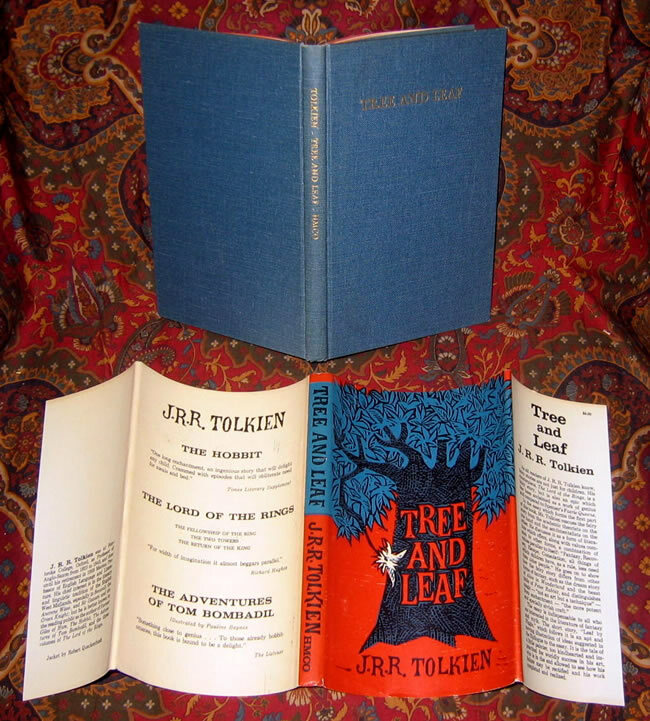 The Third Printing of the US Edition of J.R.R. 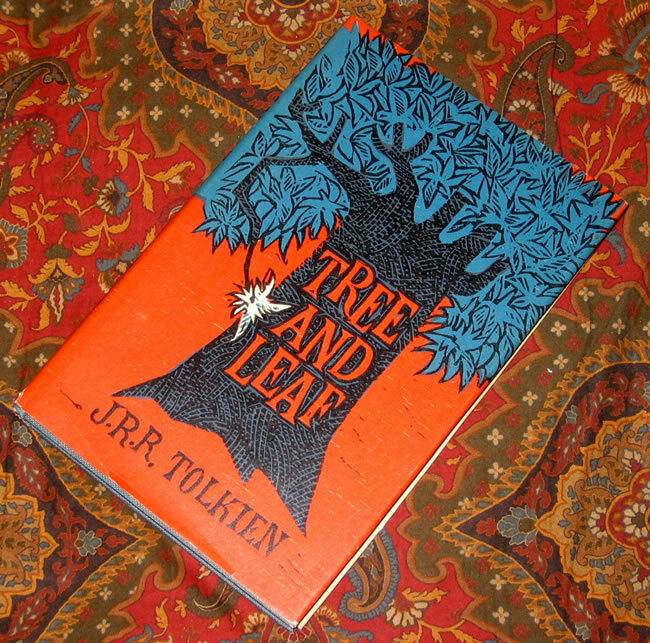 Tolkien's fifth published book. 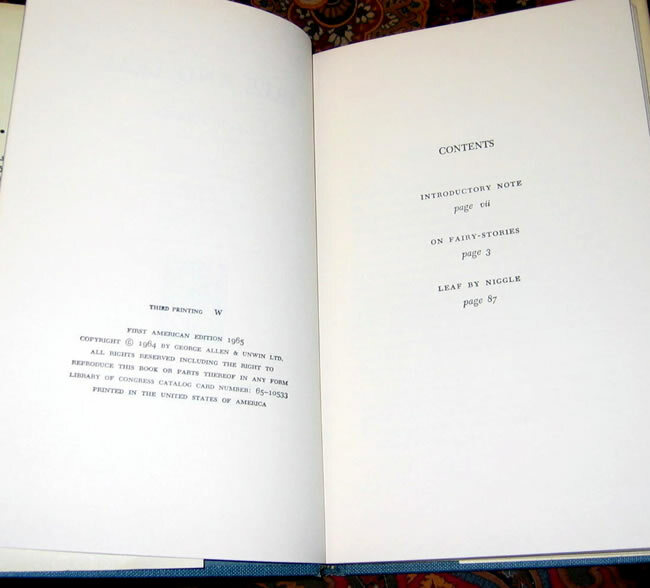 Published in 1965 by Houghton Mifflin, Boston. This copy is a beautiful example of a Near Fine Book and original dustjacket. Clean and bright, unfaded, still shows the original topstain to the textblock. 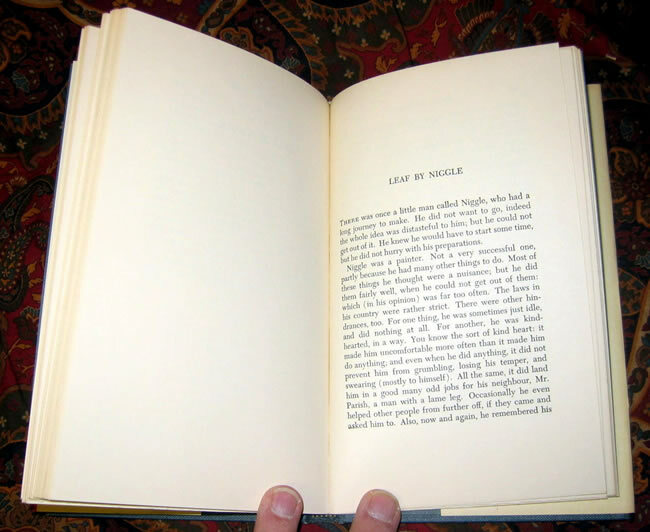 One small closed tear to the upper edge of the front panel, and another in the middle of the spine, closed with no loss. 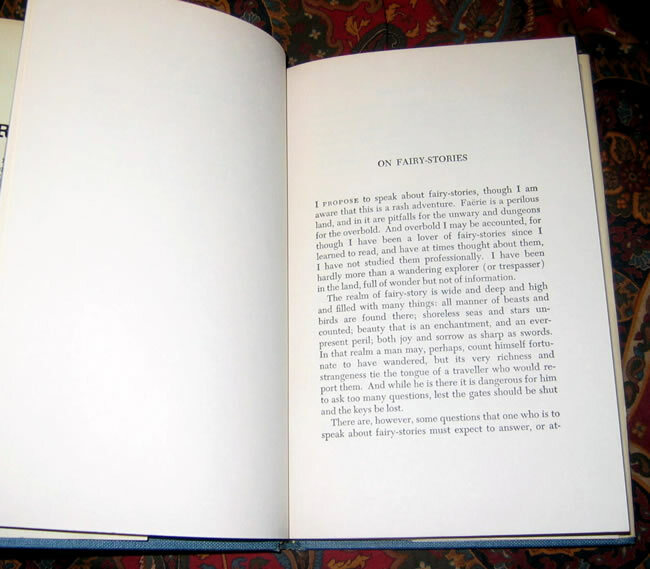 The dustjacket, by Robert Quackenbush, shows the dark blue and bright orange/red colors, with the slightest of browning to the flap edges, and no fading to the spine. Tiny wrinkle to the bottom of the spine, virtually no loss or damage. One of the best I've run across in many years. The original blue cloth is clean and bright, unmarked, and the gilt is untarnished. 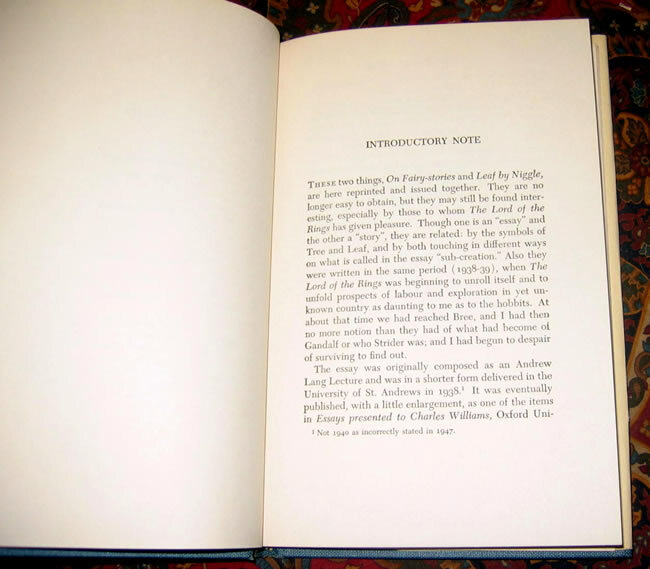 The interior of the book is also clean and bright, with gift inscription and bookplate to the front free endpaper. The dustjacket is not price clipped, and displays the $4.00 price on the front flap.